Over the past few months, a group of dedicated freelance activists in Berlin have been strategizing about how to get independent workers across Europe to take part in our developing movement. Our mission is to create a united European front for the various existing freelance organizations ahead of the European Parliamentary elections in May 2014. We want to show politicians in Brussels that independent workers are a growing demographic, one that isn’t atomized and powerless any longer. But how best to rally freelancers, when we have no budget? We decided to use the simplest and most financially effective tool at our disposal – an online campaign, spread via social media. The secret weapon – the thing that will push our message above all the other social and environmental campaigns clamoring for attention online – will be coworking spaces, which are already existing community gathering points which can become embassies the of the freelancers’ movement. With a poster in every coworking space, and a community manager informed about our efforts, the campaign will step beyond the digital realm and become a physical reality. We set to work studying existing online campaigns to get an understanding of current practice, and steal the best elements. What kind of campaign website to build? Online campaigns have flourished in recent years, and several standards and practices have emerged. We studied some of the most successful online campaign websites to select the most effective elements, which we will incorporate into our own landing page. Purpose is a company that specializes in online campaigns. It selects causes, builds their websites, and maintains their online communities. It does this both for non-profit grassroots issues, as well as for campaigns sponsored by individuals or companies. Purpose is a for-profit entity, charging its corporate customers for its expertise (for example, it is currently running an astroturf campaign for AirBnB called Peers to challenge New York accommodation regulations). This income offsets the cost of its grassroots campaigns, such as AllOut, a global gay rights platform. It was founded by Jeremy Heimans, one of the founders of Avaaz, and GetUp, both popular campaigning platforms. Given the years of experience the Purpose team has with online community building, we decided to dissect their many websites. E-mail sign-up: The primary way Purpose collects members, and the way it communicates with them, is via e-mail. Therefore the most prominent feature of their sites is an e-mail signup form, asking for basic personal information. After the short sign-up process, the user is asked to share a message with their friends via a prefilled Facebook, Twitter or e-mail message. Donate: At various stages, Purpose members are asked to donate to causes. Their sites feature a donate element, sometimes showing a target, and offering all types of payment. Counters: Users are often shown how many others have signed up or taken a certain action through prominent counters. Shareable images: Visitors are given access to a set of downloadable and shareable images and encouraged to upload them to their social media profiles. Replacing your profile photo with a campaign image has become a popular tactic of late. Petitions: Each Purpose campaign contains multiple potential actions. After the initial sign-up, the user is asked to undertake other actions such as signing a petition. This involves clicking through a process to show one’s agreement. Often the user can also add a personal message to accompany their “signature”. Videos, News, Twitter feeds: Along with the actionable elements are all the regular informational bits you would expect from any website. Some sites feature videos prominently, others rely on photos and stories. No doubt they use A/B testing to determine which information delivery device is the most effective. 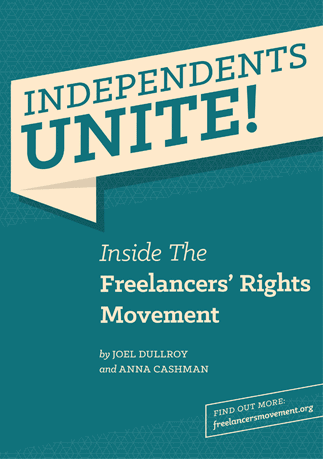 Our mission is to inform freelancers about the movement that already exists, and get them to take part. 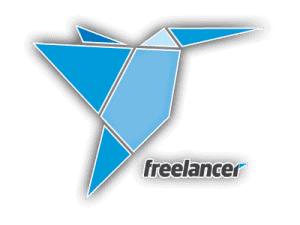 Our main call to action is for visitors to sign a Freelancers Manifesto, featuring five main points (which we’ll elaborate on in another post). Like the Purpose sites, we will ask visitors to provide their name and e.mail address to indicate their participation. There will be a donate feature, as well as news and videos. The end result of the campaign will be two-fold. We will have collected (hopefully) thousands of “signatures” for our Freelancers Manifesto, which we will present to members of the European Parliament to show our strength. And we will have collected the names and e-mail addresses of individuals who are willing to be involved in future actions. We can turn to this community when other major issues arise, or when we need to respond to some critical concern. Building the website and collecting members is just the beginning. Maintaining a community, and keeping them interested and involved, is the important and long-term strategy.